Let’s head north. Far north, into Scotland – not exactly to the roof of the world, but far enough north for a southerner like me to feel like I’m on an adventure. 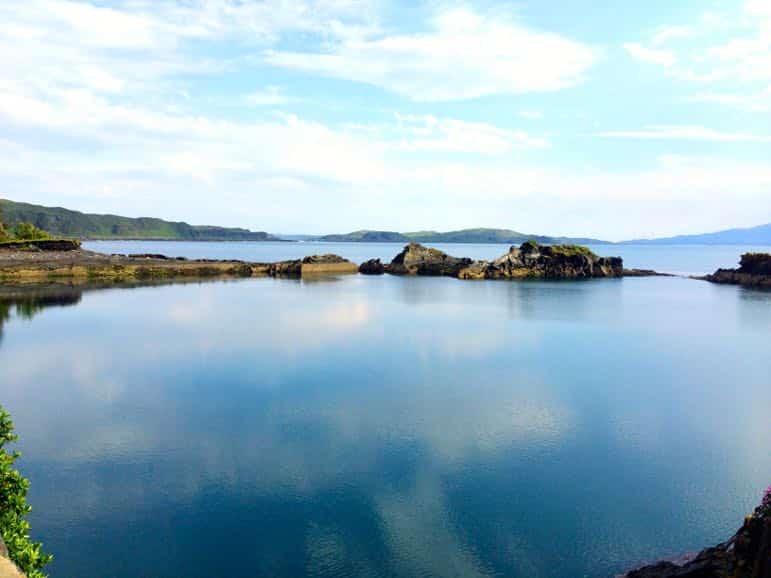 Turn towards the country’s west coast and before long we’ll be among the Scottish Isles – the Inner Hebrides from Mull to Iona and Staffa and the other islands that dot this section of the Atlantic Ocean. Scotland’s islands are well worth getting lost in. These chiselled dots of land, and the tiny communities that live on them, somehow survive the ferociousness of the Atlantic through the four seasons. And the race of time – taking as much of the modern world as they wish, and leaving the rest behind to maintain their solitude. Though they may be quiet, these are not unassuming islands with no story to tell. Take the Slate Islands for example, they stake their claim to international renown as ‘the islands that roofed the world’. And it’s not to be underestimated. 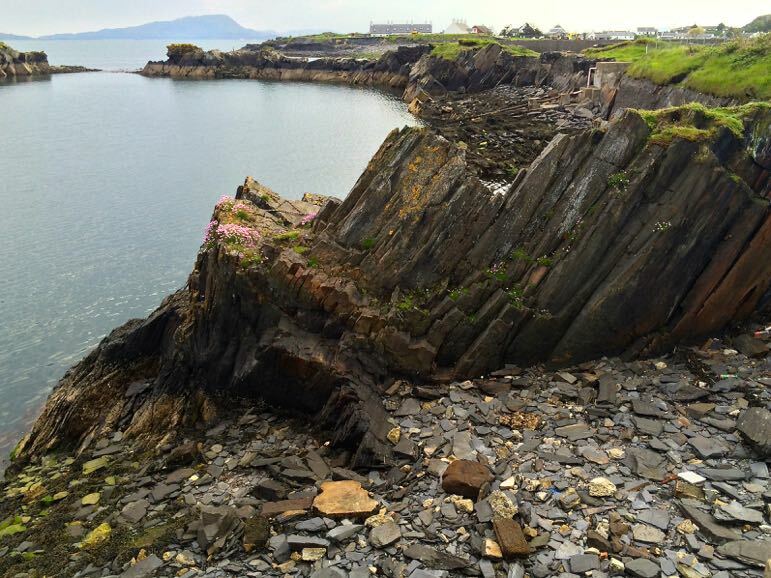 From the 18th century through to around 1950, the Slate Islands were some of the most important of the Scottish Isles as they were the centre of one of Scotland’s largest industries. 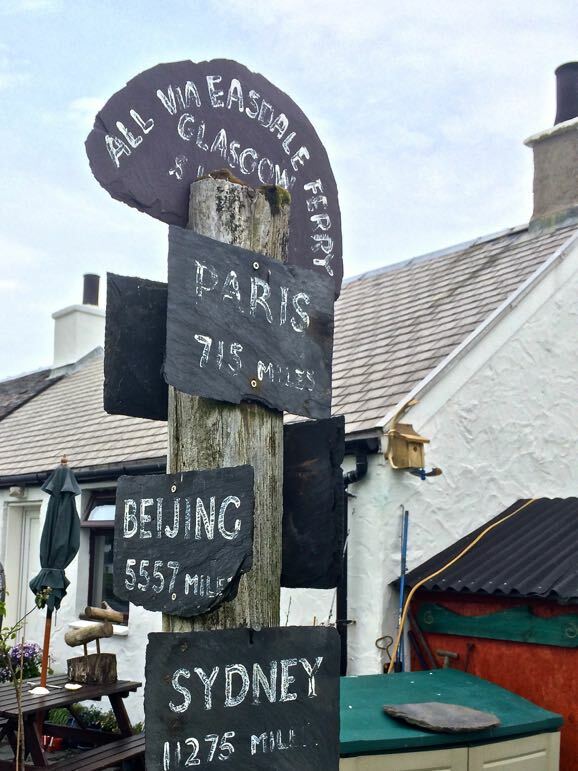 One of the smallest of these islands is Easdale, at just 0.25 square kilometres. But due to its rich deposits of slate rock, it soon started to punch well above its stature. 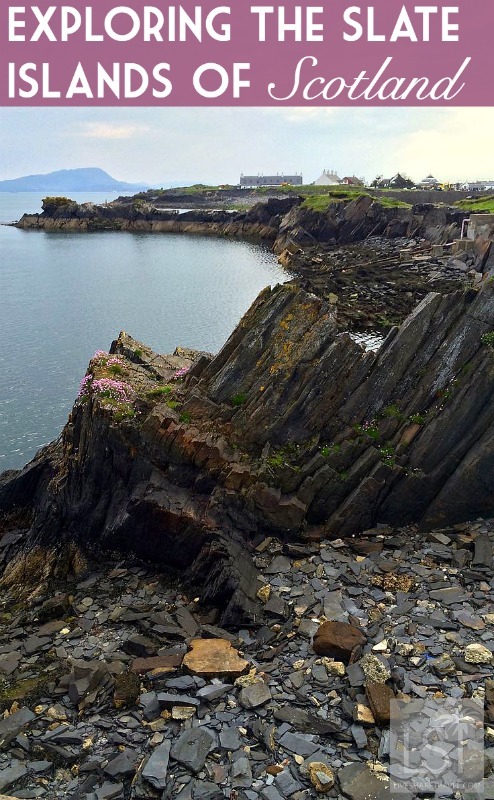 The formation of the Marble and Slate Quarrying Company of Netherlorn in 1745 saw slate being mined and taken from the Easdale quarry to cover the roofs of houses locally, then across Scotland. And by the 1860s the grey stone was shipped to New Zealand, Australia, the West Indies, the United States as well as to Nova Scotia, in Canada. 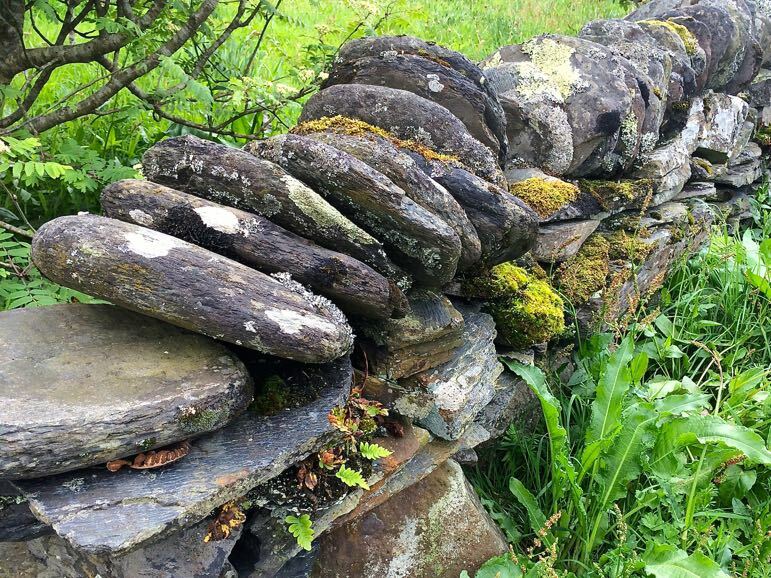 The demise of the slate industry in the 1950s saw Easdale’s already small population drop to just five. But it has since seen a resurgence, even if in a small way, in popularity, and the car-free island now has 60 full-time residents. To get to Easdale, you have to travel by boat from Easdale. No, that’s not a typo. 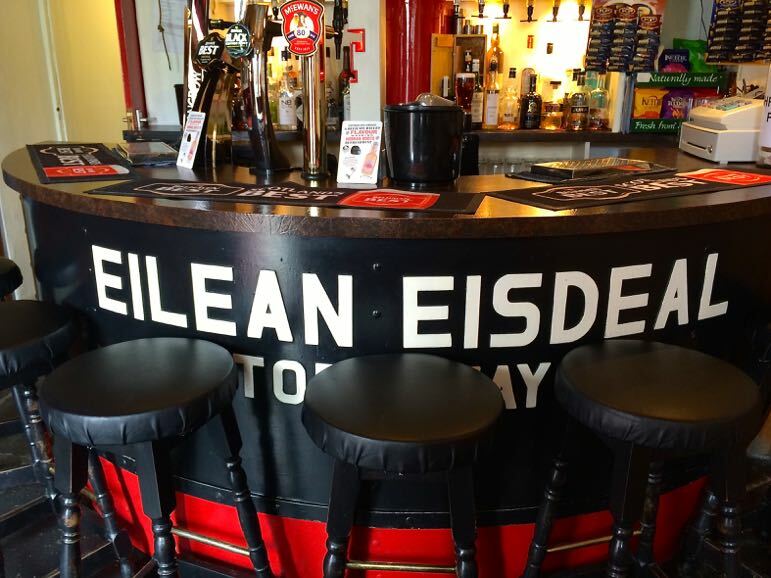 The island of Easdale, is accessible by a five minute journey from the town of Easdale, on the neighbouring slate island of Seil. 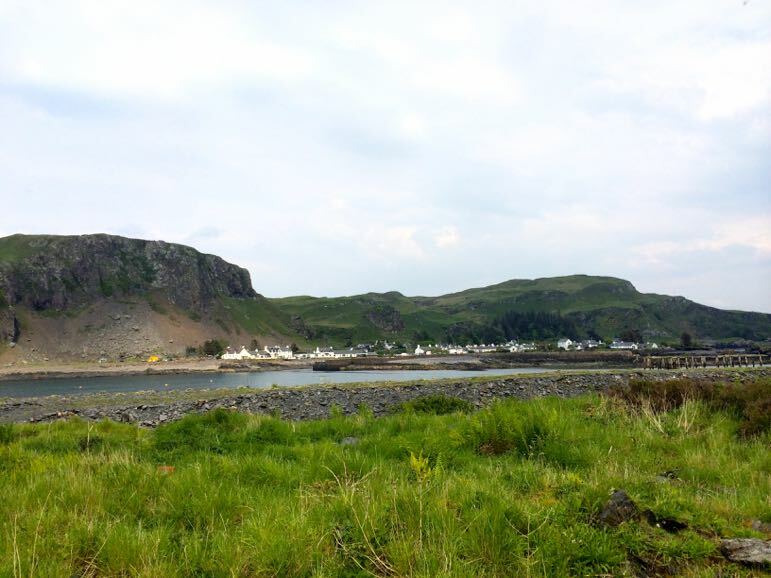 Seil is separated from the mainland by what would be a blink-and-you’ll-miss it bridge drive. Except for the fact that you can’t take your eyes off the road for this momentarily scary ride. 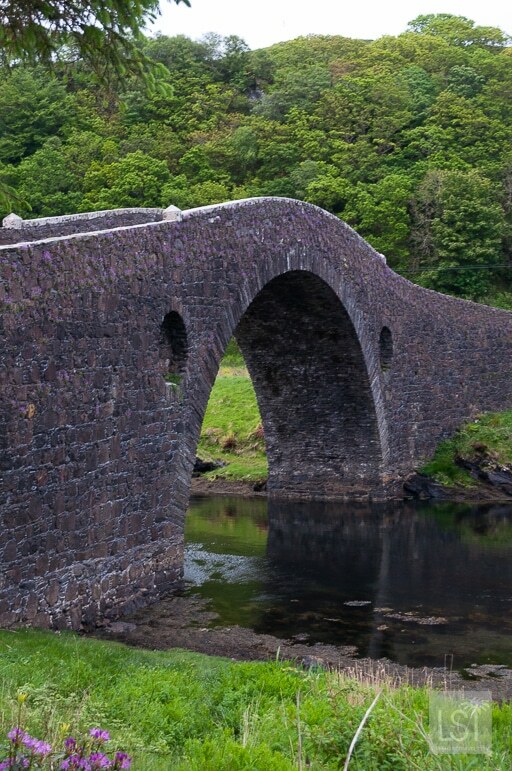 The humpbacked Bridge Over the Atlantic that connects Seil to the the rest of Scotland has such a giant hump that for two to three seconds you can’t see the other side. It’s a little as though you’re on a rollercoaster as it reaches its precipice before plummeting down at breakneck speed. But this is the Scottish islands, so nothing moves that quickly – except perhaps for some of the boat rides across the Firth of Lorn. 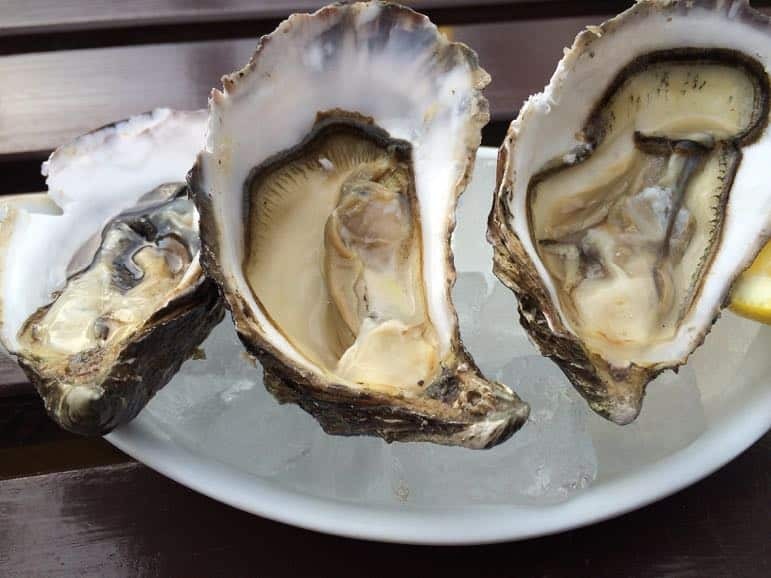 The town of Easdale is peaceful and picturesque, and I’d recommend a stop at the Oyster Bar for fresh oysters, fish and more, especially if it’s warm enough to sit outside and enjoy the divine views over the Atlantic Ocean. 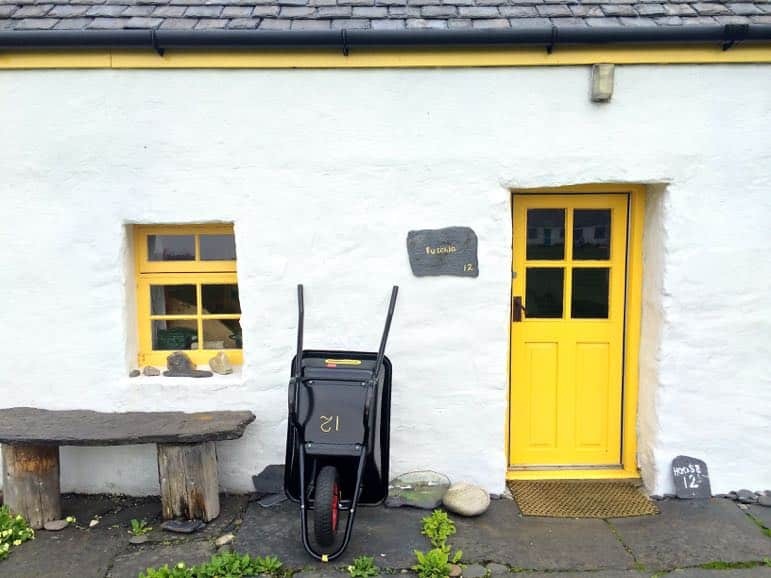 The five minute ferry journey to Easdale island drops you at the heart of the island, with a pub, small café, and community centre. 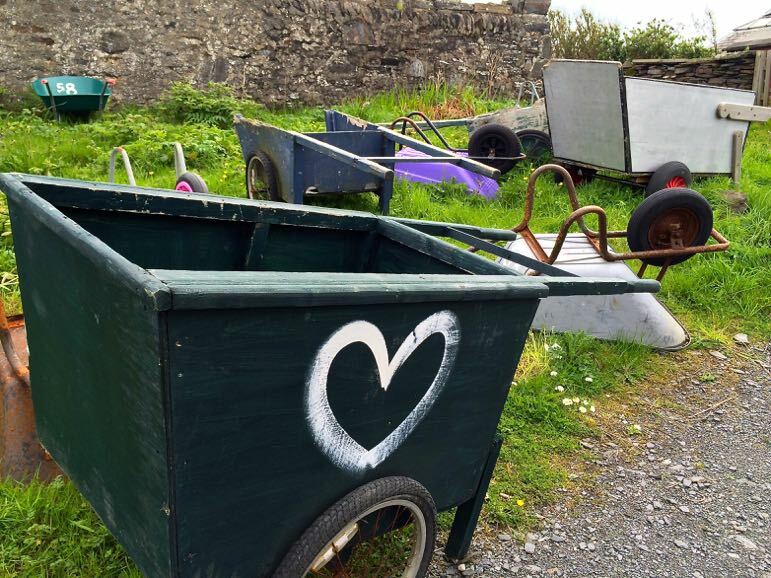 But the first thing you’ll notice is the wheelbarrows. With no cars on the island, its residents use wheelbarrows to take shopping and more from the ferry to their homes. 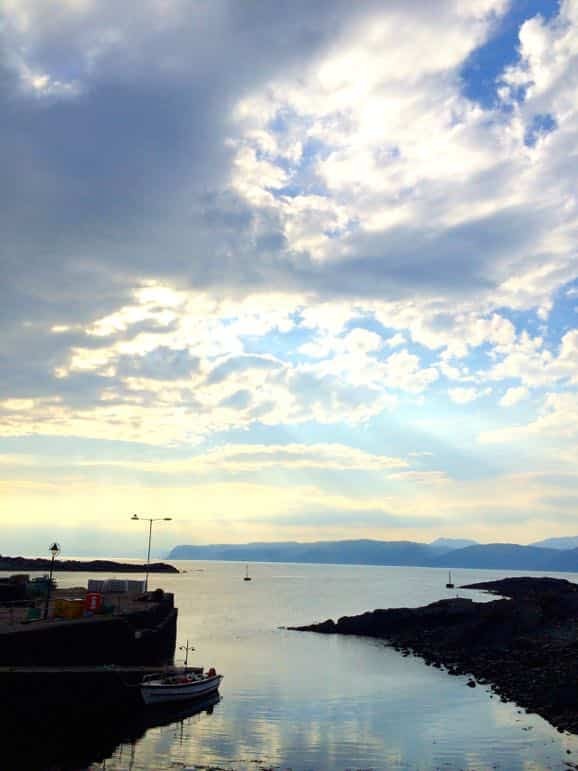 As a city girl, I was like the proverbial fish out of water on tiny, hear-a-pin-drop-quiet, Easdale. But its quiet charm had me hooked and I explored every corner. 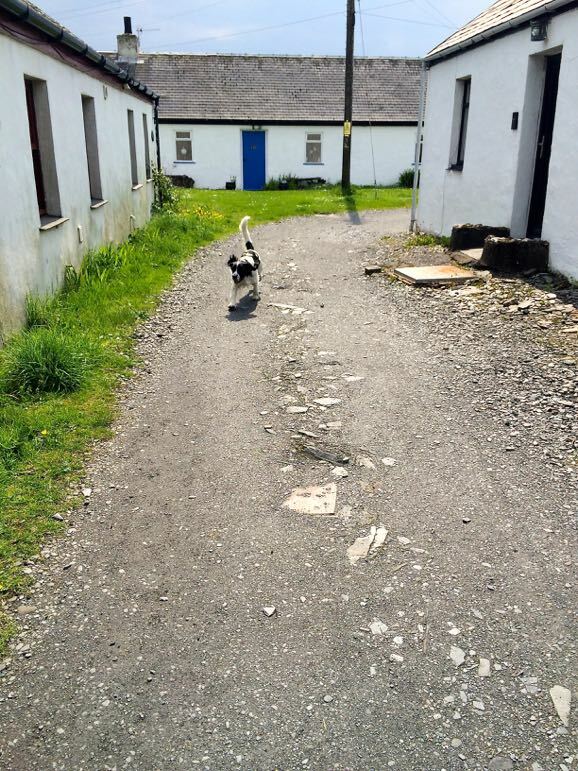 The pitter patter of a dog’s footsteps ahead led me down a lane where I wound my way around its tiny cottages, each with a slate number outside, or quirky greeting written on it. Islanders greeted me with the friendly familiarity of a small community, and soon I was at the end of the island, looking out over the dark grey of a former slate quarry and onward towards the blue of the ocean. I’d never visited such a small, and relatively isolated community before (on days when the tide is particularly high boats won’t travel between Easdale and Seil), but my short visit was enough to tempt me to escape the rest of the world to go and live up on the roof. I visited the Slate Islands while staying nearby at Melfort Village, on the banks of Loch Melfort, around 16 miles from Oban. Find out more about the resort here. What a gorgeous place! I can’t wait to get there. I am going to scotland later this year. Oh do visit Fabiana – it really is beautiful – “ah it’s so lovely” because our most over-used phrase during our trip.